Inspector's & Manufacturer's Stamps, etc. 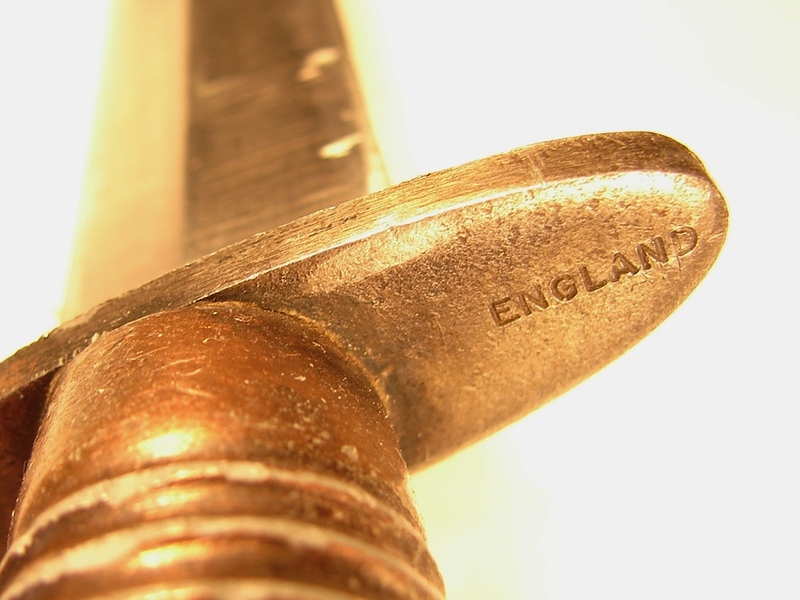 We have provided close-ups of these inspectors stamps to help you determine the legitimacy of a knife you might be considering buying. Of late there are rumors of people counterfeiting stampings which clouds the issue considerably. 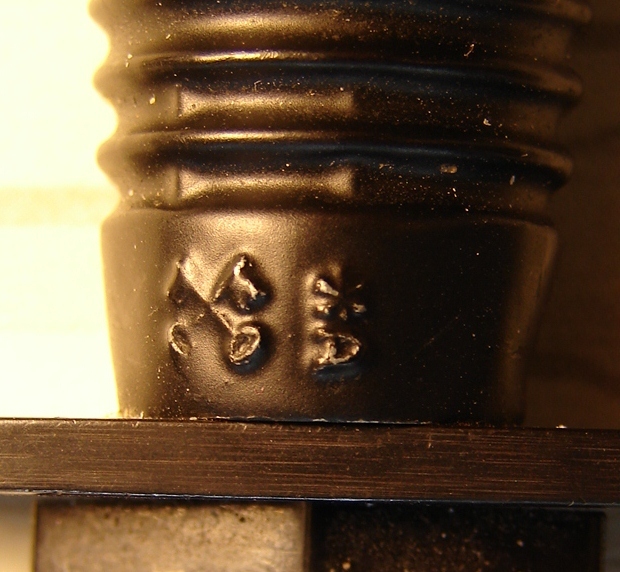 If the knife has been apart (as indicated by the removal/replacement of the top nut) be wary of any stamps. If the stamps are too crisp it may be an indication of fakery. This is a very difficult call in some instances. So when in doubt follow your gut instinct. 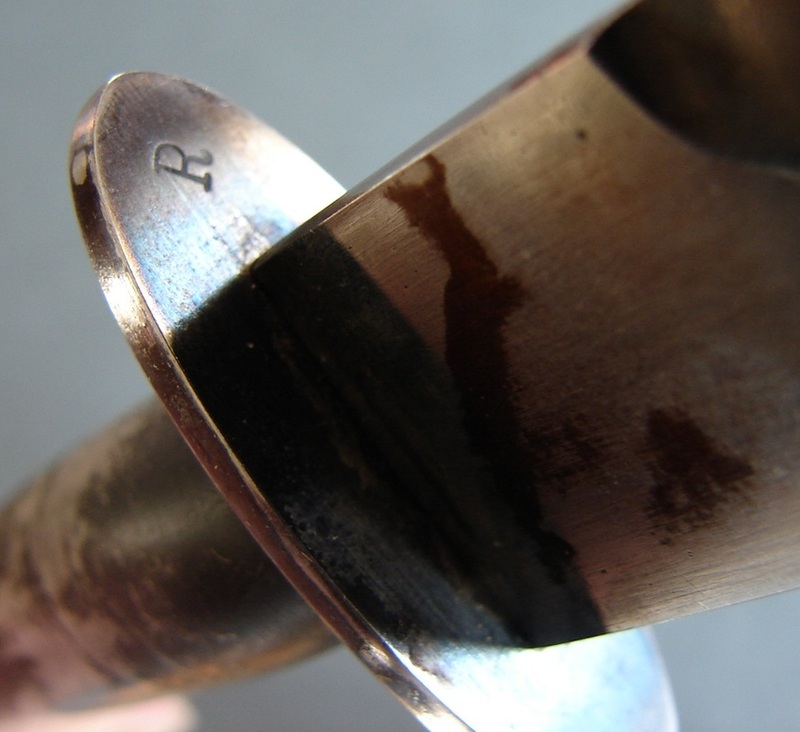 We offer some examples under the page "What to look for." 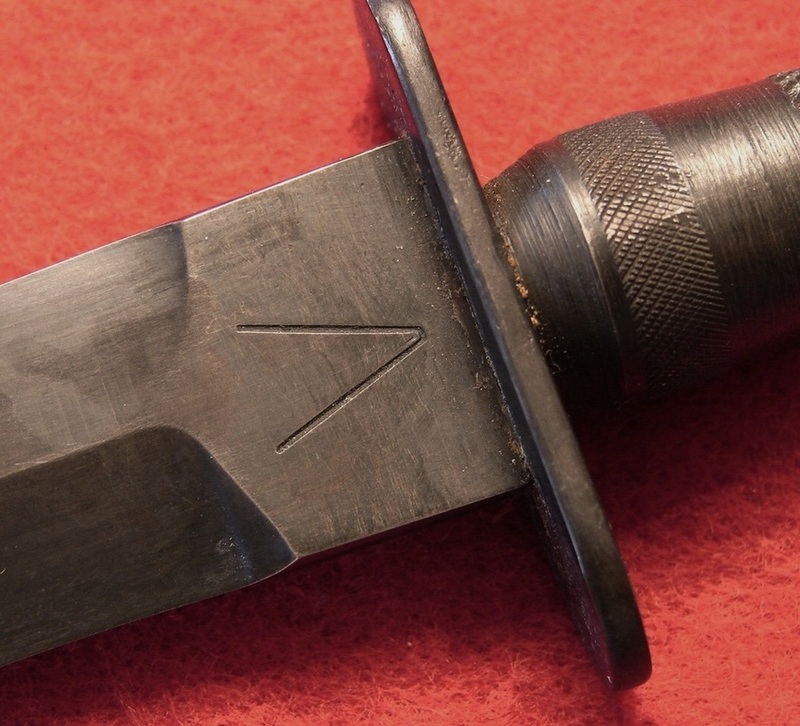 Stamps on the bottom, blade side, of the guard usually indicate the knife has been taken apart and re-assembled incorrectly (Except French knives and J Clarke & Sons see photos). Below: Ron Flook calls this a "T". All of the other stamps I have seen have the broad arrow pointing the same direction as the letter or number. Therefore I am going to say it is an "L". All of the examples appear to lack one side of the crossbranch it if is a "T". Either way it is a rare stamping. 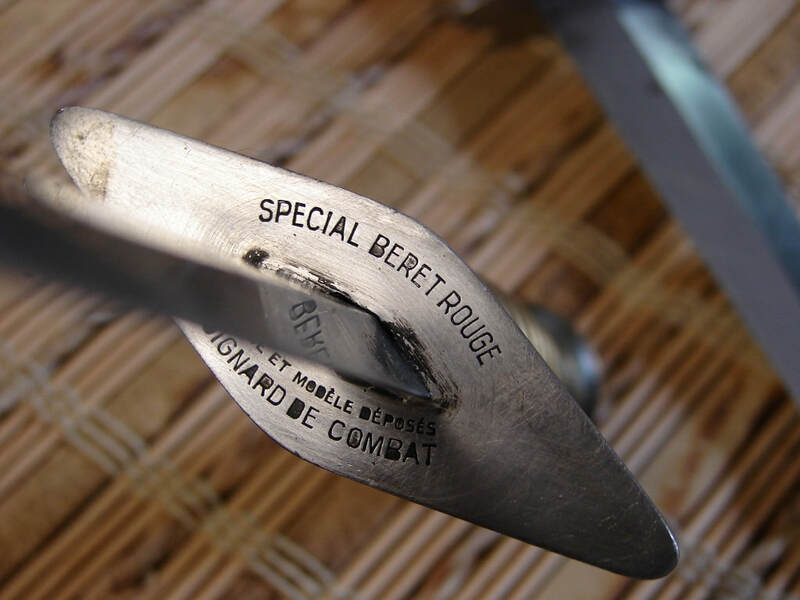 Below: French Beret Rouge Paratrooper dagger showing the guard stampings. Here we have the ubiquitous broad arrow along with the desirable B2. In fact the B2 is so desirable that a few sellers are counterfeiting it. 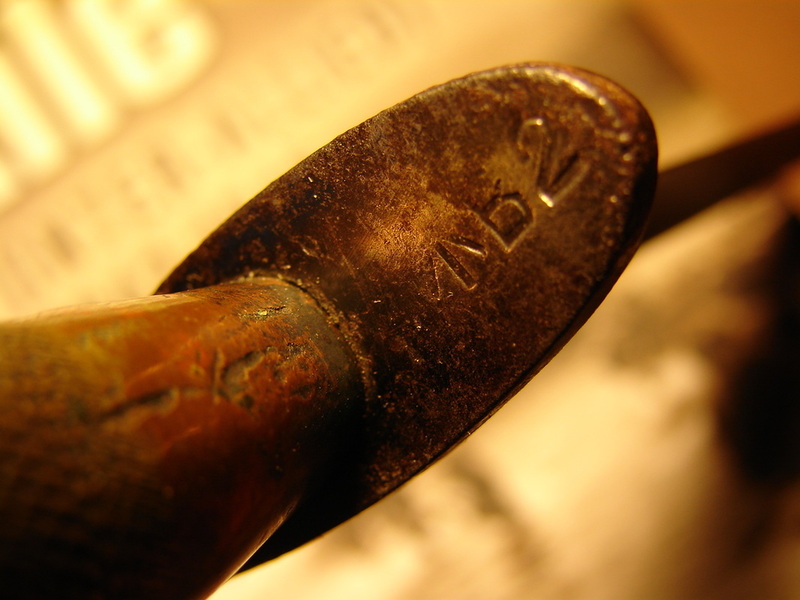 BELOW: another example of the B2 stamping. 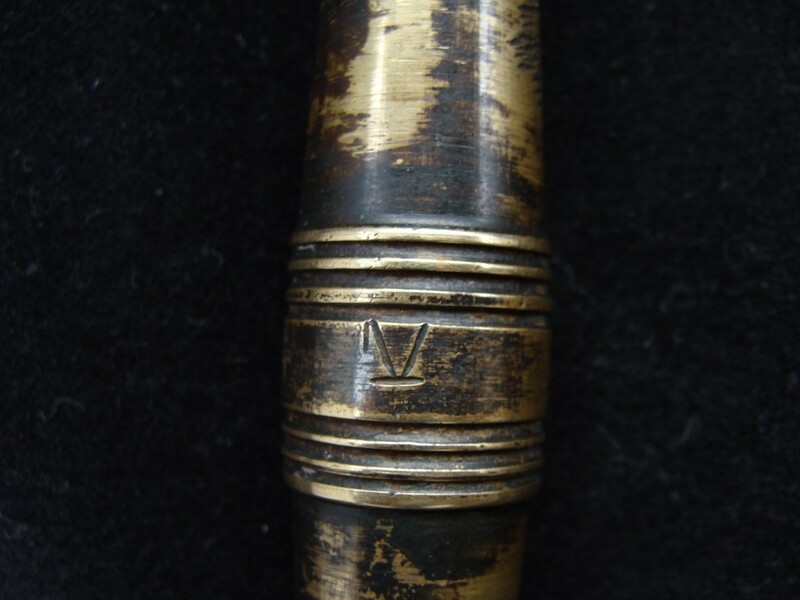 BELOW: Broad arrow number "9"
Below: Broad Arrow and the number "60" on this second pattern. 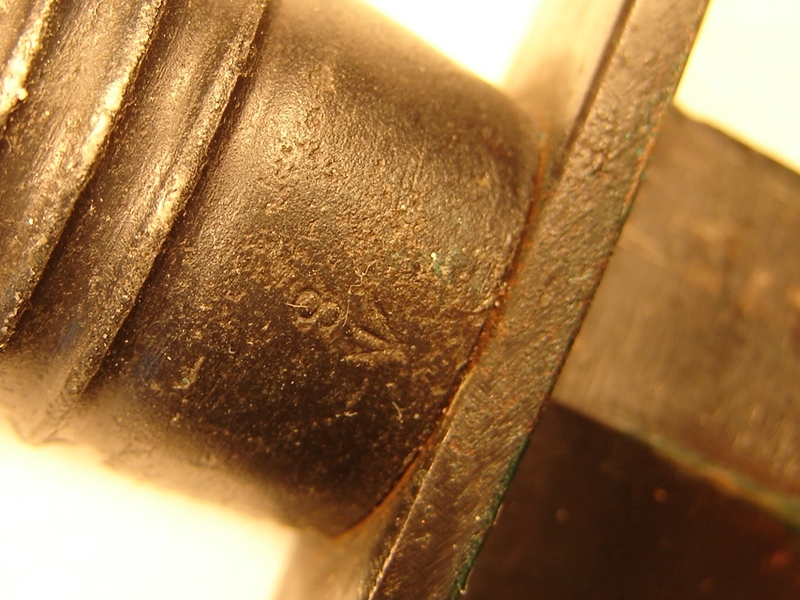 This is the only example I have seen of this stamp number. 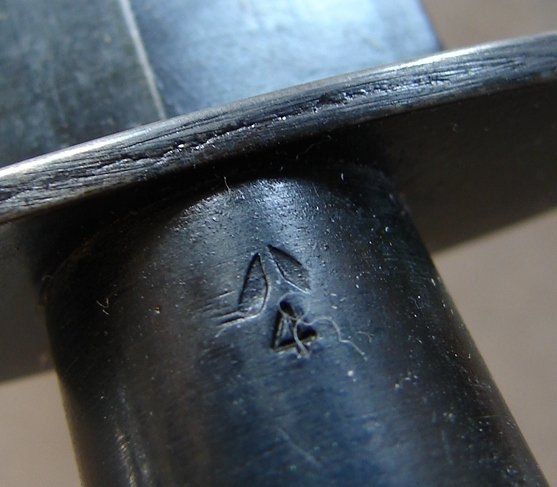 Below: Broad Arrow "4". 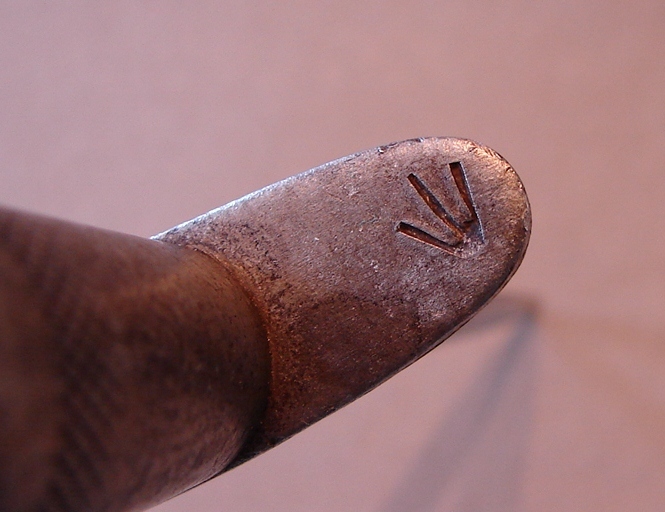 Note the similarity of this odd arrow to the one on the Polish F~S directly below it. 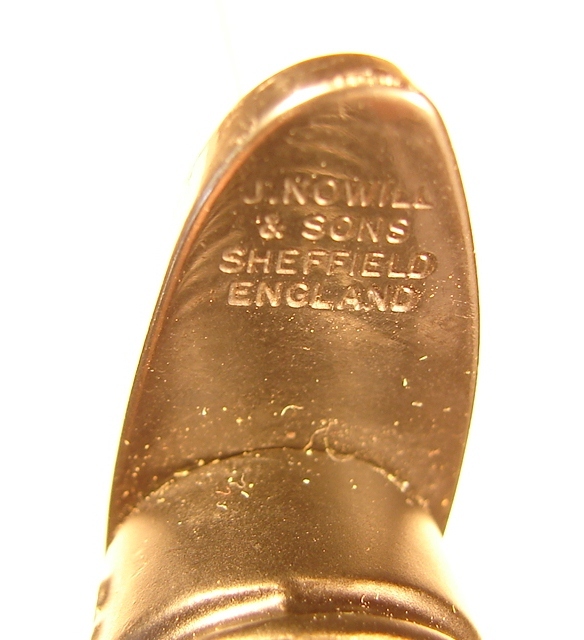 Below: The J Nowill & Sons trademark are the Crossed Keys and the Asterik "D". 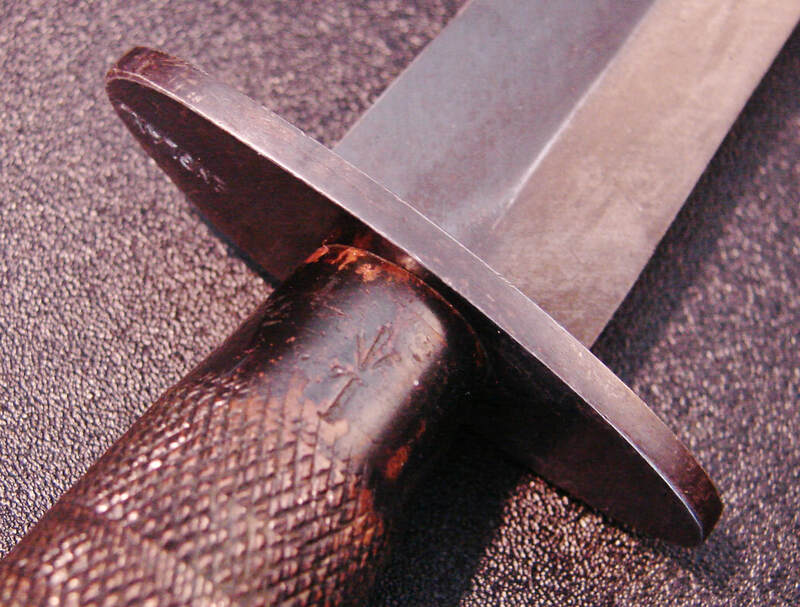 This is a post-war knife. 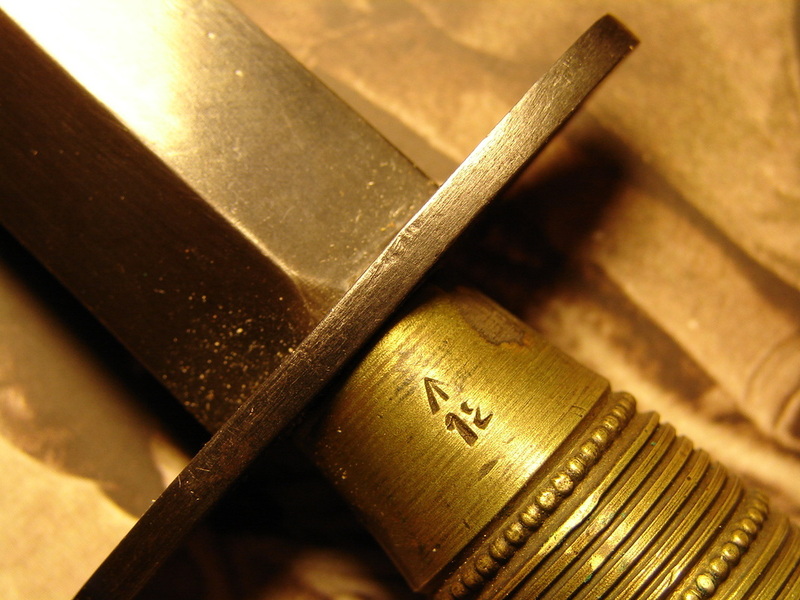 Above: The "FR693" Stamp is supposedly for knives issued by Wilkinson Sword Company during the Falklands War. 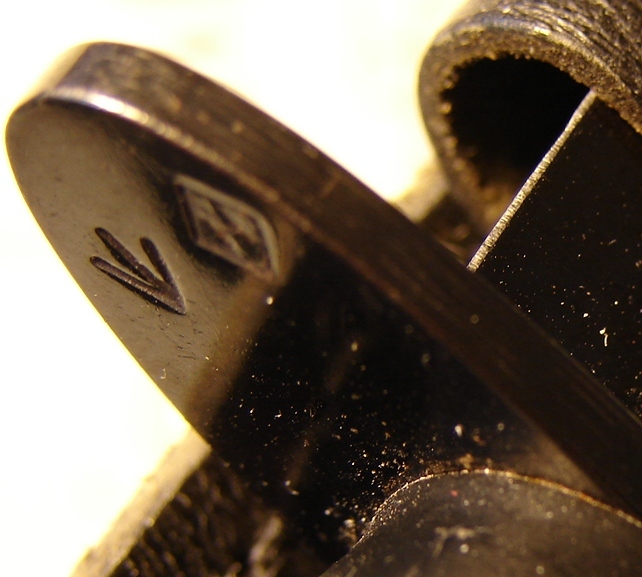 Below: Two very different French "Nail-head" broad arrow stamps. Below: Less common "Sheffield England" stamp. Likely post-war. 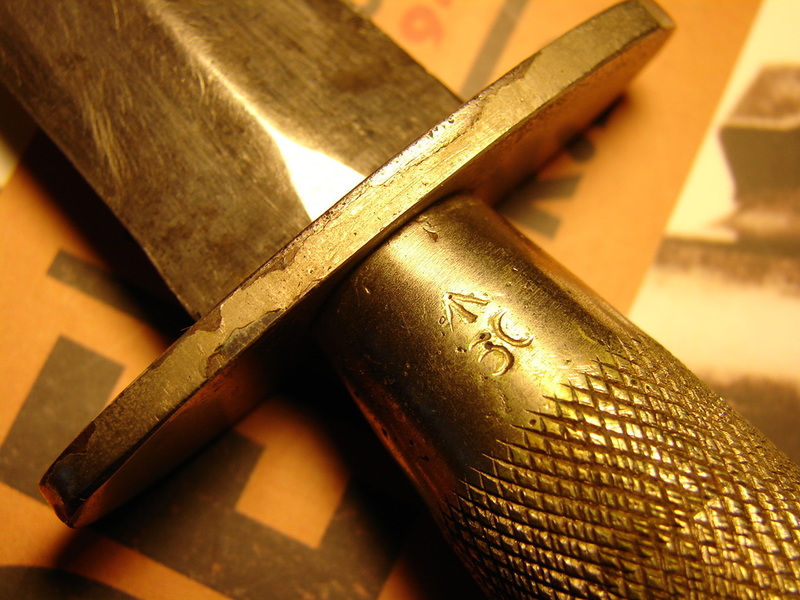 Below: The heavy bladed third pattern knives are often stamped on the guards either "42" or "I" along with the broad arrow. 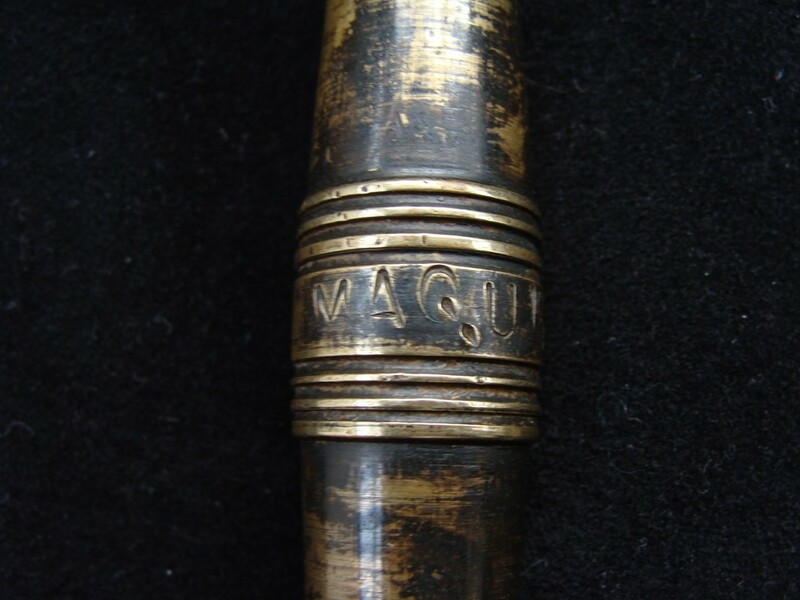 Below: Third pattern guard stamped A Coy (A Company). From a friend: "I just noticed the "A COY" notation, which you feel is the owners name. I believe that is a standard abbreviation, at least in the Canadian army, for "A, or Able Company". This knife did come out of Canada and a quick check on the internet seems to prove this out. Thank you Pete for this information. 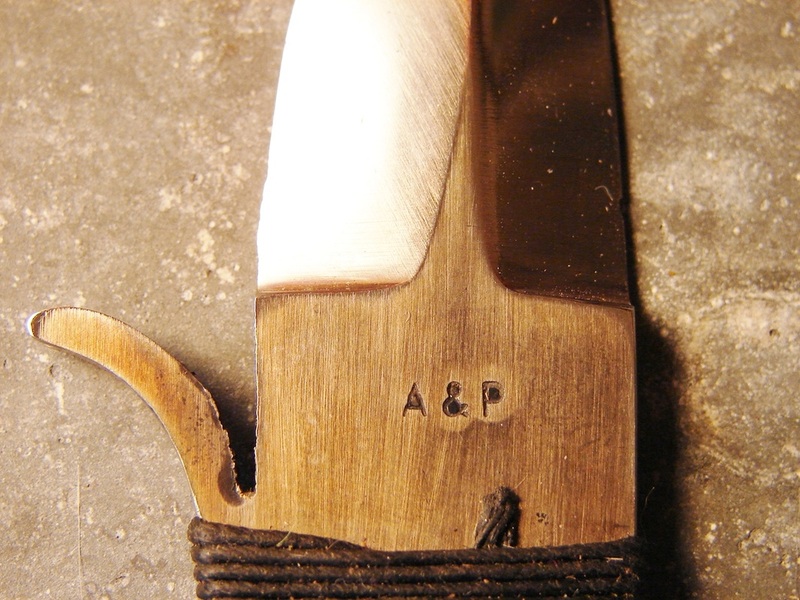 Below: The "&" ampersand stamp is attributed to the mysterious Australian Bruce Hand, maker of clandestine knives. 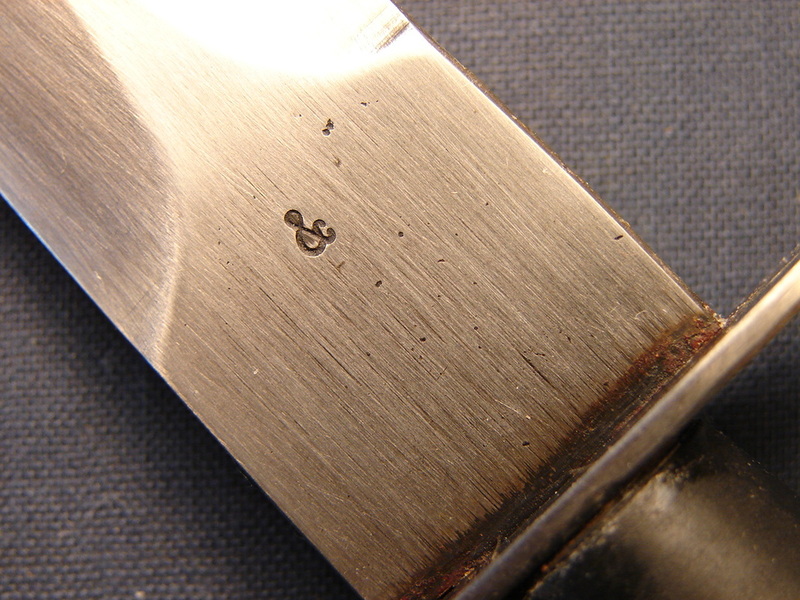 Below: "V" Stamp on a French mini blade. 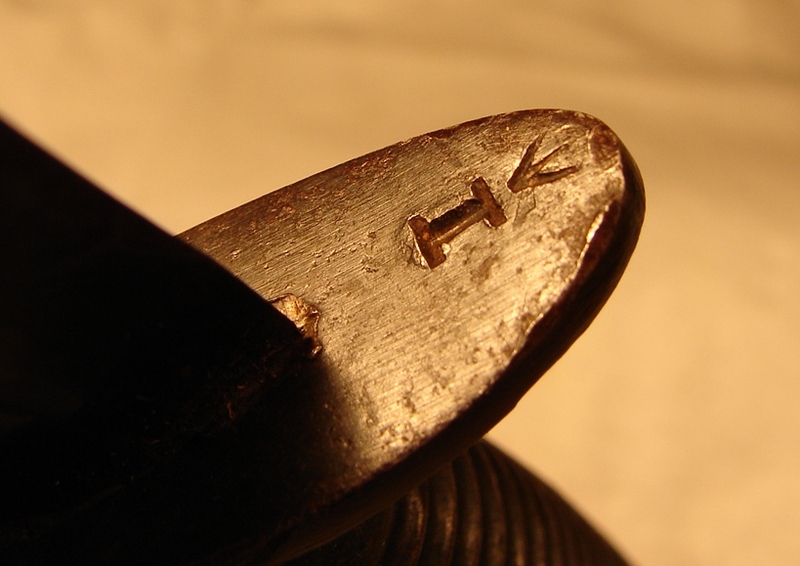 The No.9 on the guard is often attributed to H.G Long. 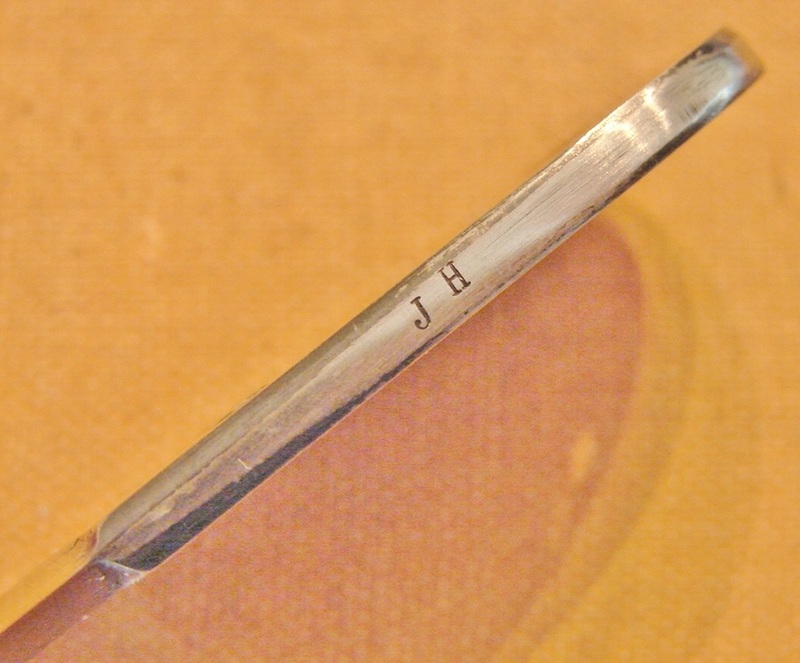 Below: The letter "B" on the handle may stand for the BCRA, The Bureau Central de Renseignements et d'Action which was created by the Free French Chief of Staff in 1940. 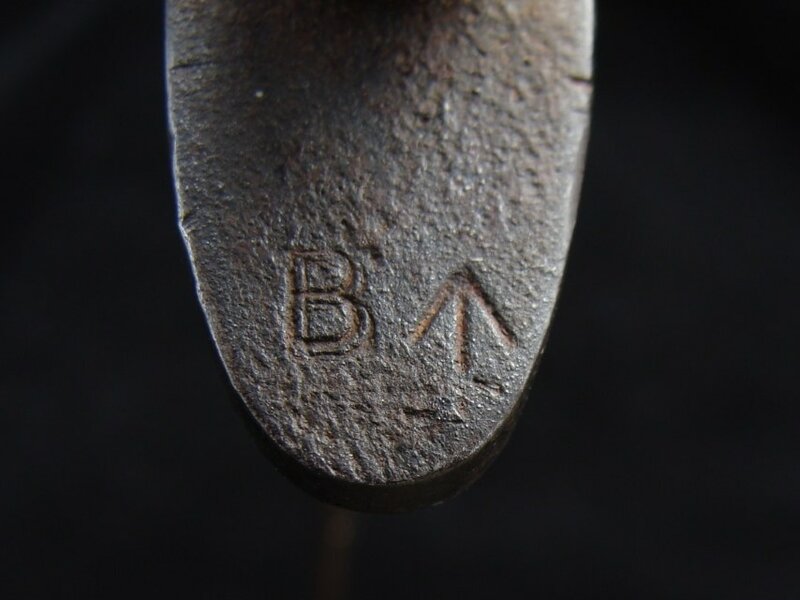 Perhaps the "B" stands for Bert Warden, jeweler, who was said to have made lapel and other small daggers for the BCRA. 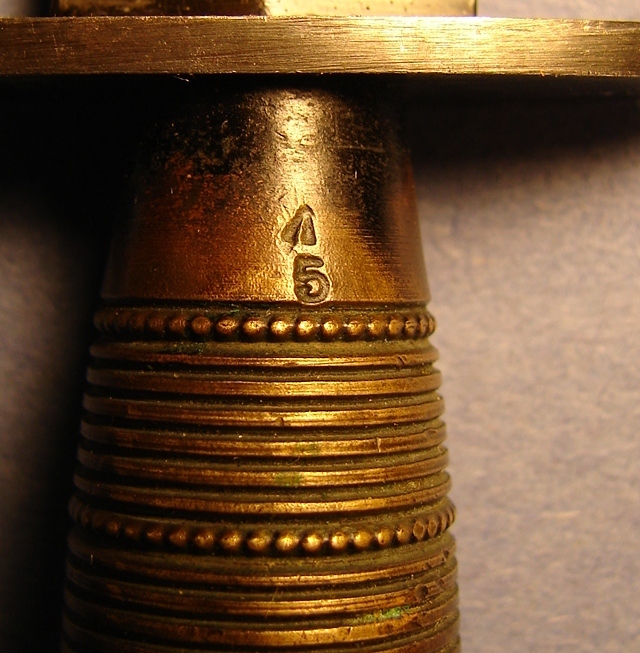 Below: Stunning example of a thumb dagger with its heat temper coloring in as new condition. 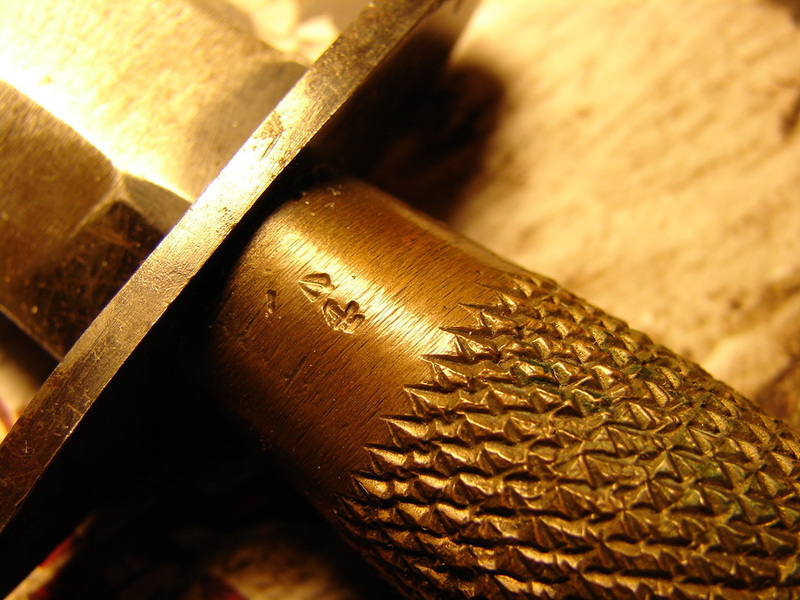 It is stamped S.294 a number often attributed to Wilkinson Sword products. 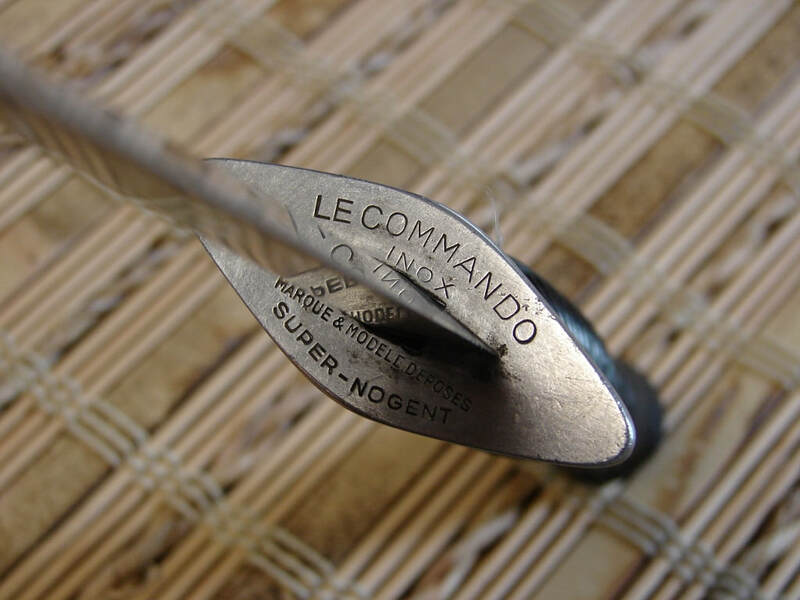 Below: French "le Commando" Super Nogent Dagger guard showing its stampings. Below: What I assume are the owner's initials, N.G.K., are stamped into this crossguard. 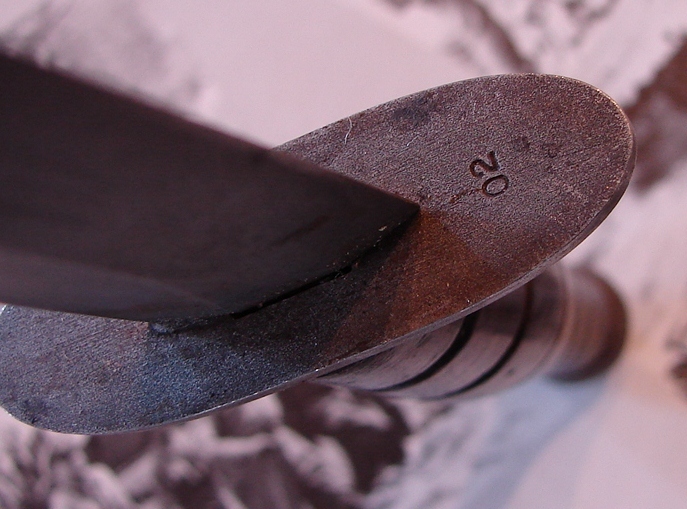 Broad Arrow "12" on a beaded and Ribbed knife. 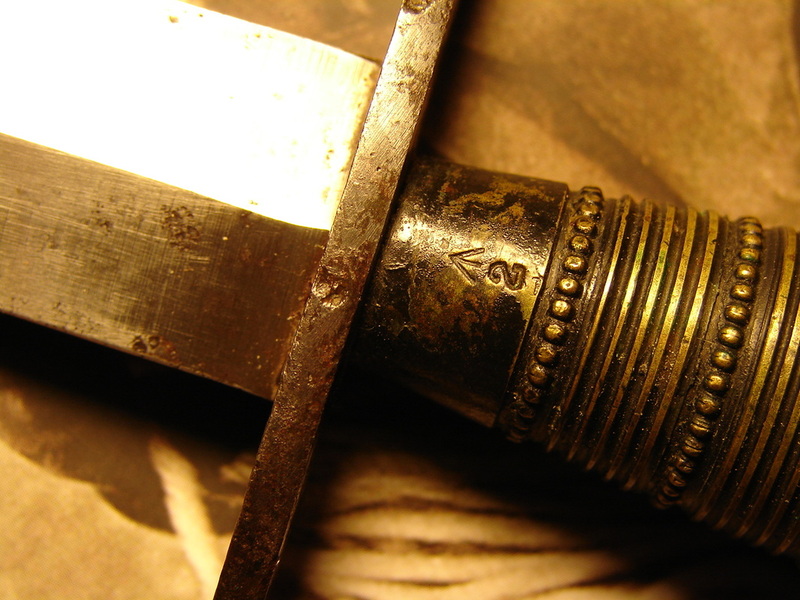 Broad Arrow number "2" on another Beaded and Ribbed knife. 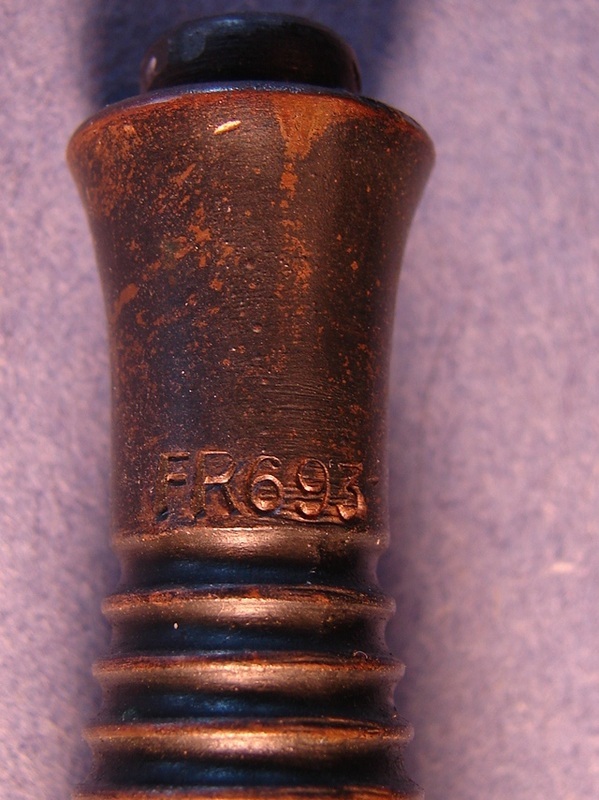 Below: Broad Arrow with an unusual B6 stamping double over-stamped with "England". 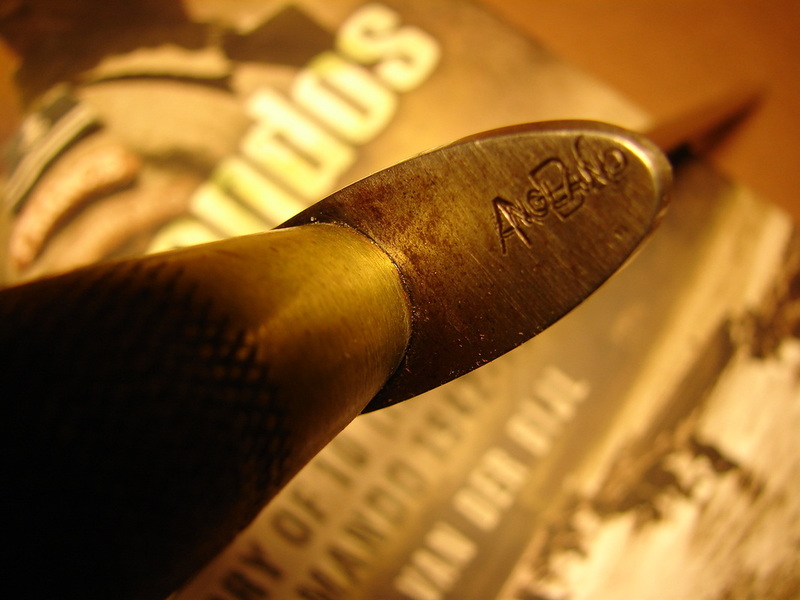 Below: The majority of my Beaded and Ribbed knives are stamped "12", not "5". Note also the odd looking broad arrow. 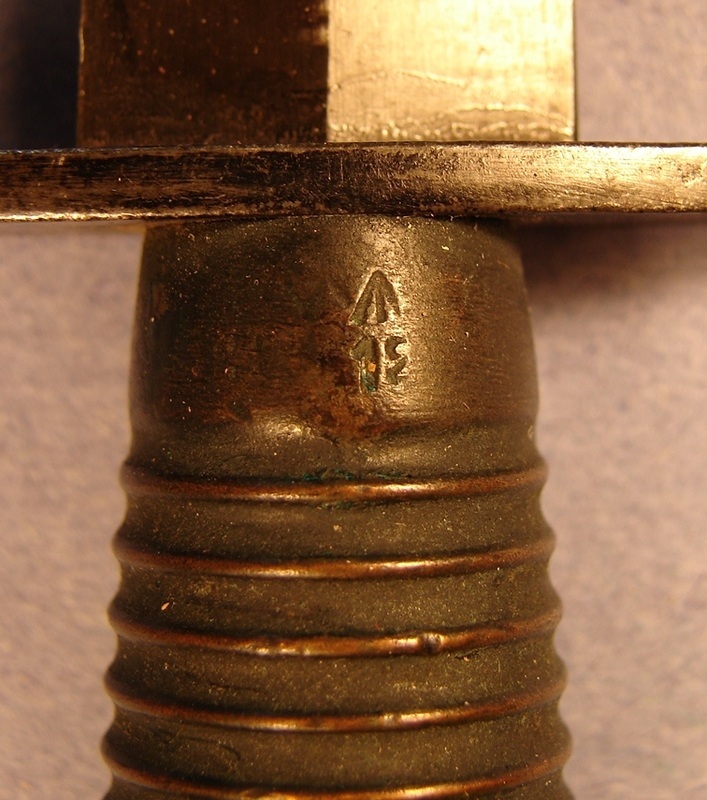 Below: The postwar J. Nowill & Sons crossguard below is stamped with the Broad Arrow and a Diamond marking. 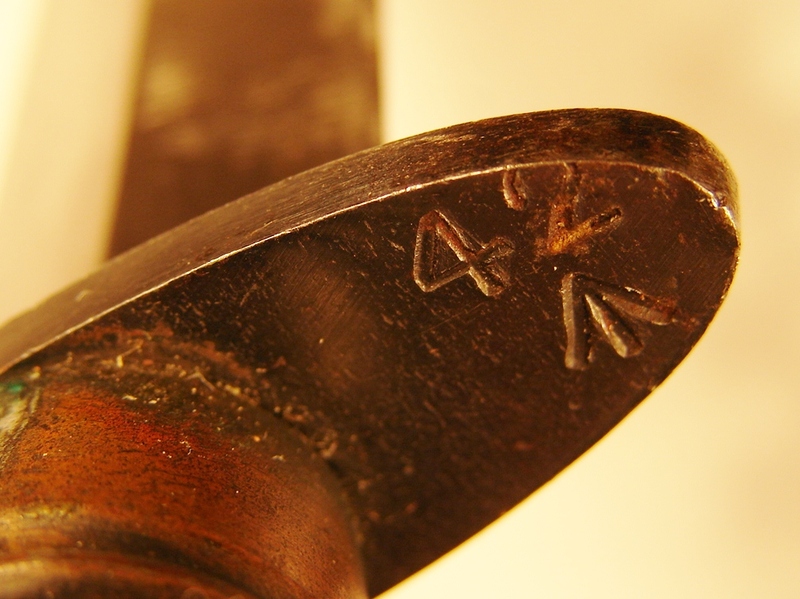 Above: The Broad Arrow "21" is I believe fairly uncommon. 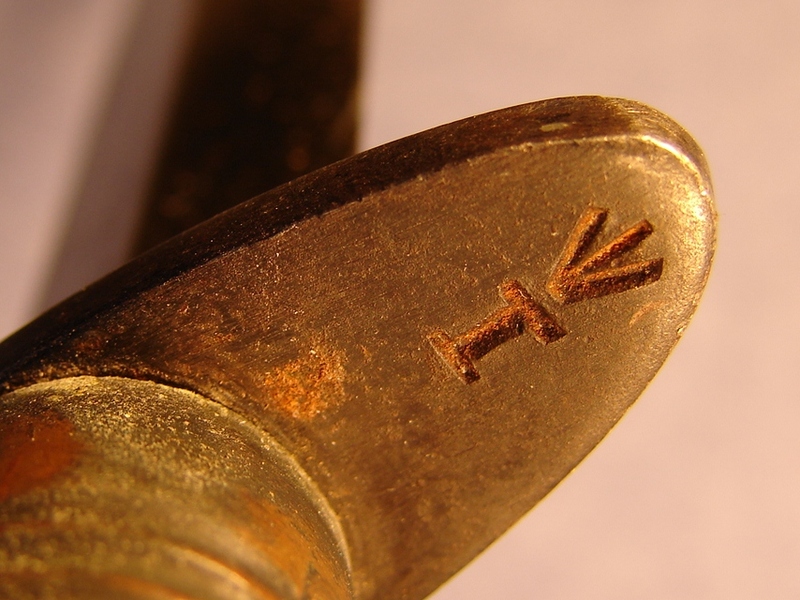 Below: The Broad Arrow "I" is for Ishapur Armory stores in India, or so I have read. 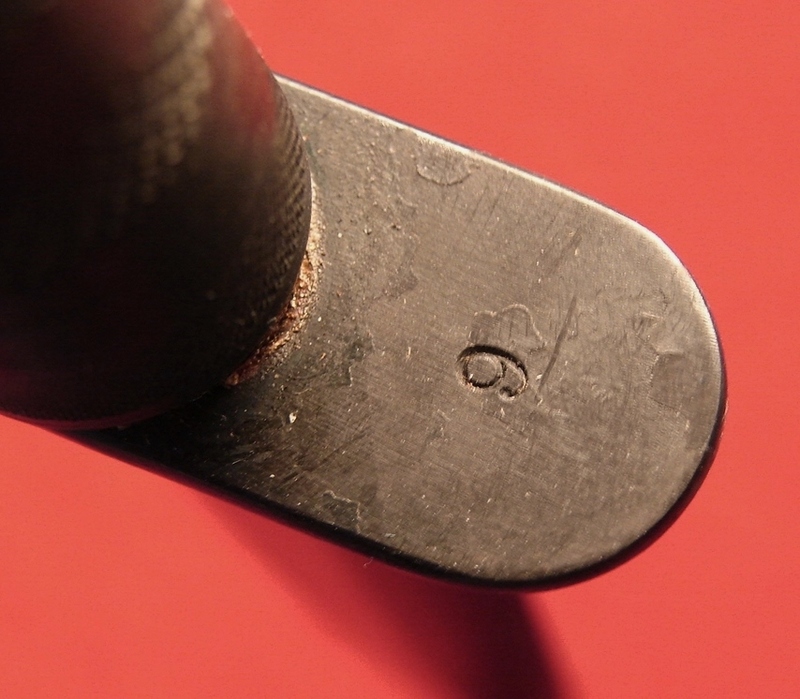 Below: Number "02"stamped into the bottom of the guard of a finely made leather handled knife. 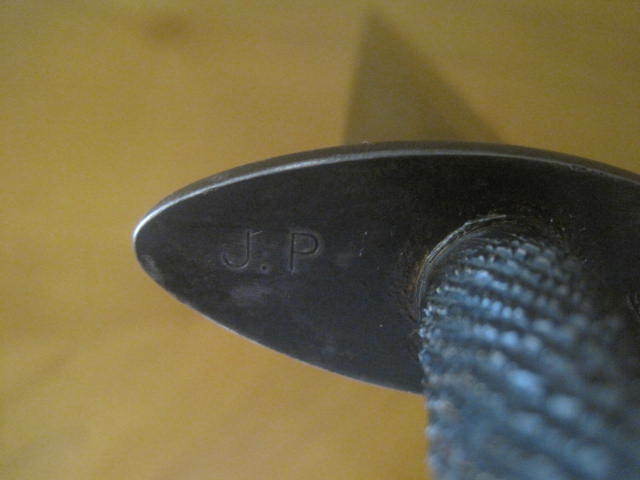 The blade is also marked with the same stamping. No known maker, it came out of canada. 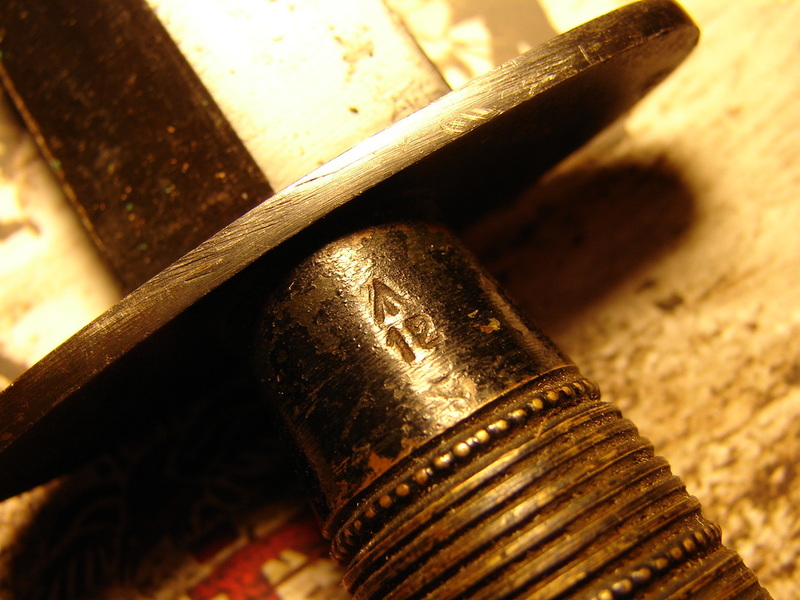 Below: Very fat Broad arrow "3"
on the guards either "42" or "I" along with the broad arrow. 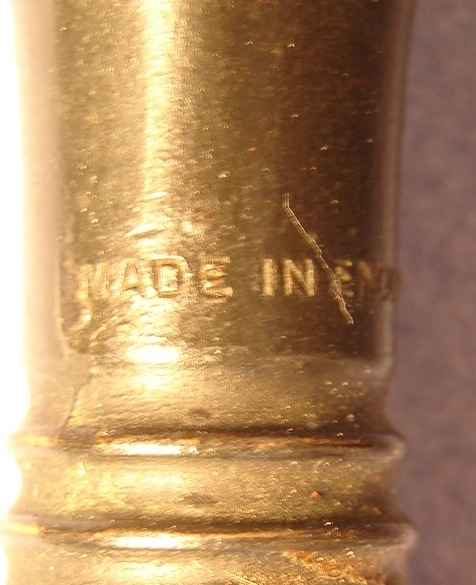 Below: Very unusual "Made in England" roll stamping around the pommel. 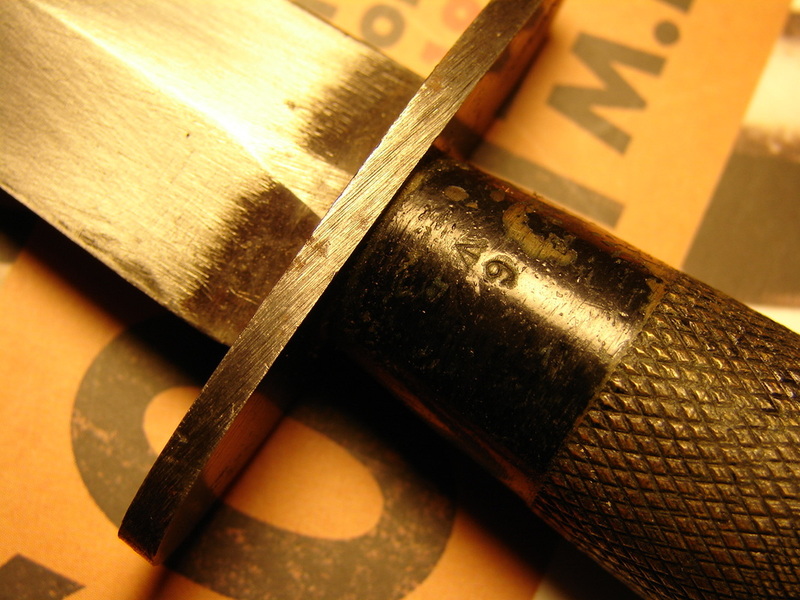 Below: Guard stampings from the second pattern knife made by Imperial Gudedge. This is, I believe, a post WW-II knife. 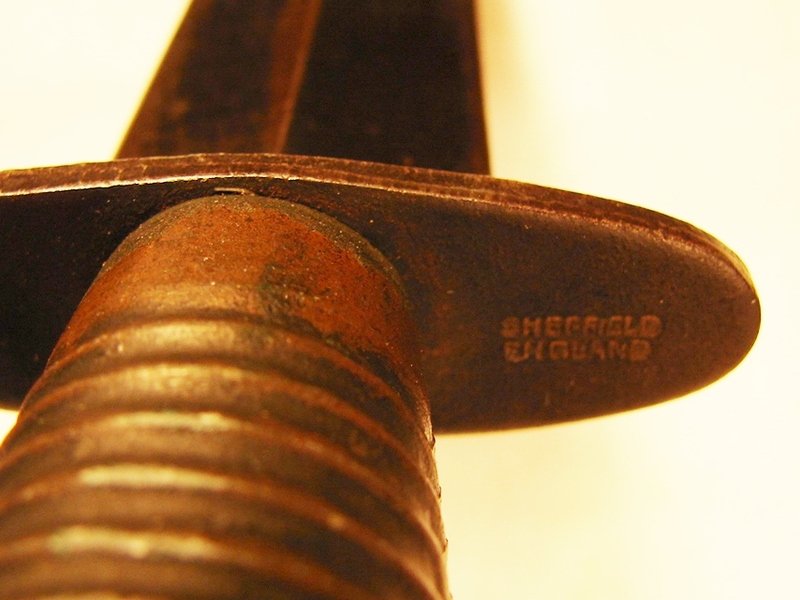 Below: "MADE IN SHEFFIELD ENGLAND". 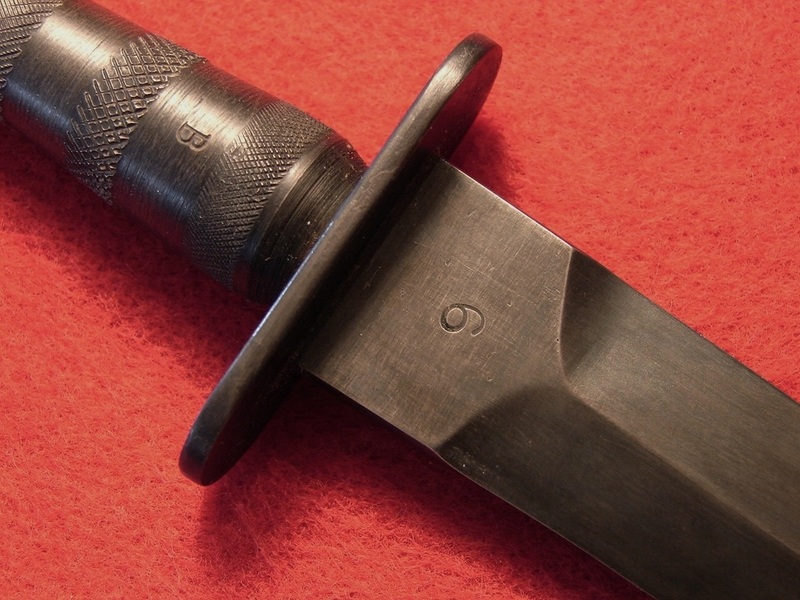 Post war knife? 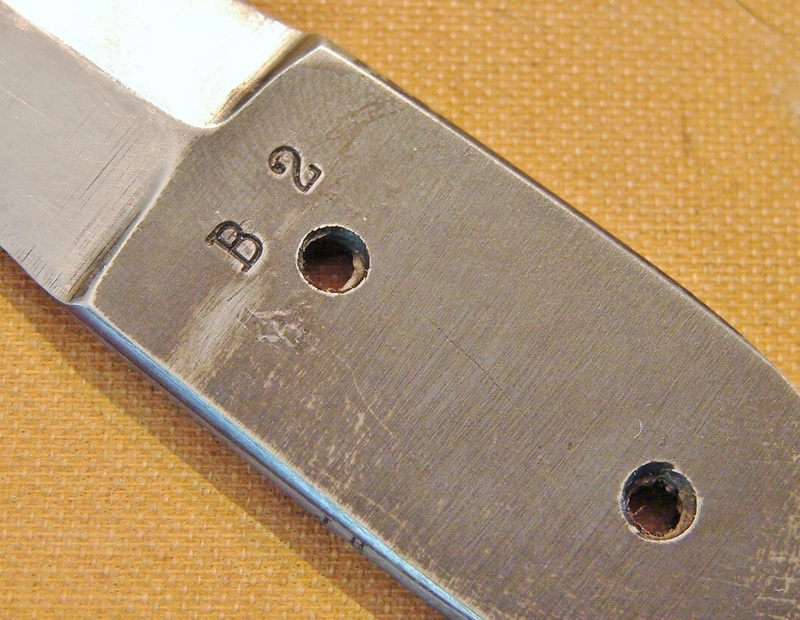 Below: X-Dagger stamping "3". 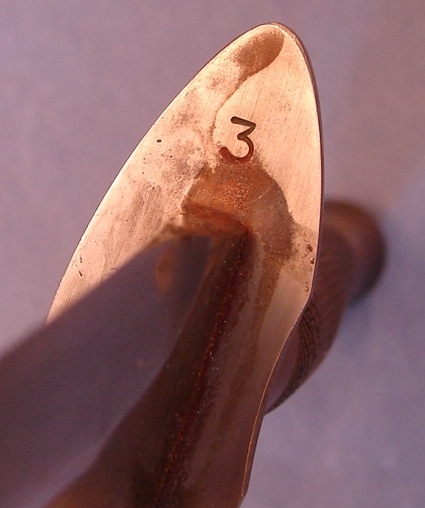 "3" is often attributed to Wilkinson Sword Co. products. 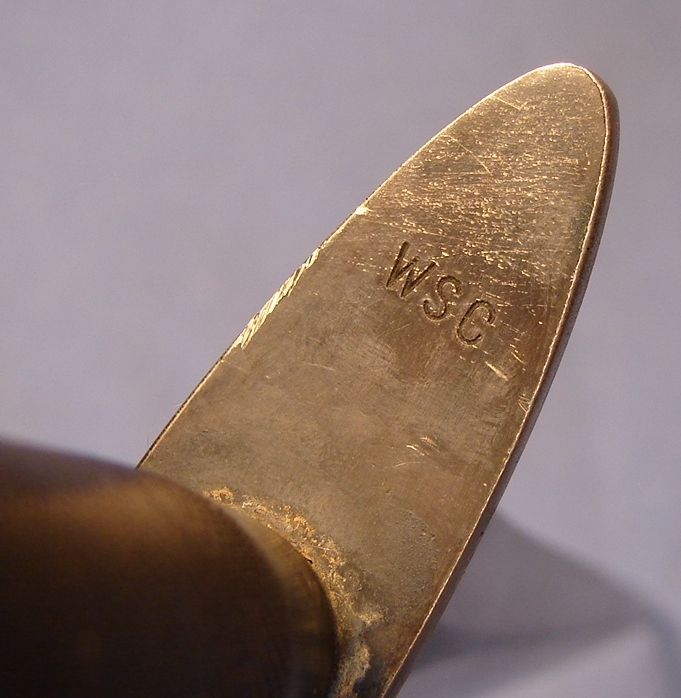 Below: "WSC" Stamp on the top of an X-Dagger guard. 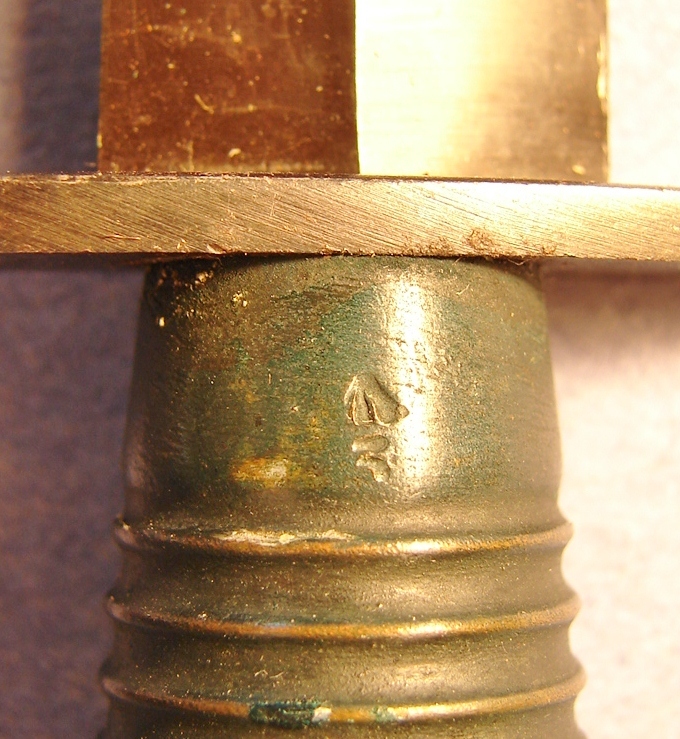 Below: Thumb Dagger stamped on handle, "B 2" and "J H". 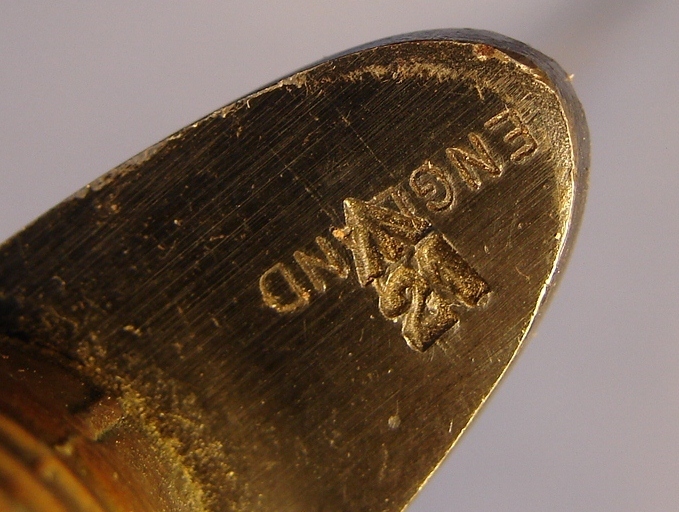 One source gives Sanderson of Sheffield as the source of the "B 2" stamp. Some say it is Wilkinson. Below: "A & P" stamp for Alcock and Pearce. 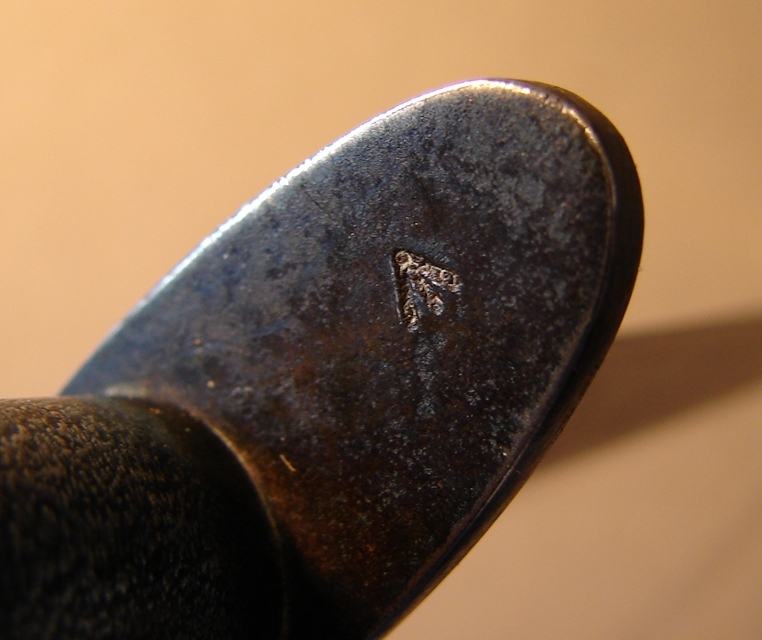 Below: Polish Mini with "R" stamping on the guard. Does anyone have any information on what the "R" might stand for?